SART is a multiagency coordination group consisting of governmental and private entities dedicated to strengthening all-hazard disaster capabilities through partnerships. Florida SART will support an effective and coordinated incident response for the animal and agricultural sectors in the state of Florida. 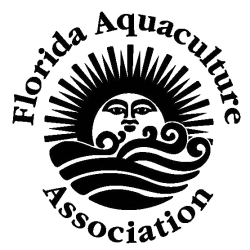 The University of Florida's Institute of Food and Agricultural Sciences (UF/IFAS) is a federal-state-county partnership dedicated to developing knowledge in agriculture, human and natural resources, and the life sciences, and enhancing and sustaining the quality of human life by making that information accessible. A statewide organization dedicated to teaching,research and extension. Faculty located in Gainesville and at 13 Research and Education centers and Extension Offices in each of the state's 67 counties. A partnership in food and agriculture, and natural and renewable resource research and education, funded by state, federal and local government, and by gifts and grants from individuals, foundations, government and industry. USDA's Farm Service Agency is a clearinghouse of information and services about farm programs for citizens and for FSA's current and potential business partners. It's designed to empower citizens and business partners by giving them what they want, when they want it, in ways that make sense to them, so they can solve their own problems and achieve their objectives. "Protecting American agriculture" is the basic charge of the U.S. Department of Agriculture's (USDA) Animal and Plant Health Inspection Service (APHIS). APHIS provides leadership in ensuring the health and care of animals and plants. The agency improves agricultural productivity and competitiveness and contributes to the national economy and the public health. The UF College of Veterinary Medicine provides expertise in large, exotic and small animal patient care as well as provides technical expertise in disease outbreak identification and response. The CVM responds with technical experts, in addition to the VETS team, which provides large and small animal patient care, damage assessment, logistical support, and large animal technical rescue. Team members provide training in these areas, in addition to ICS. The mission of the Florida Animal Control Association is to improve the methods and standards of the animal control and protection profession throughout Florida, to inform the public of the true nature and importance of the work performed by animal control and protection organizations, to cooperate with the other public agencies dealing in animal control and protection, to promote local and state animal related regulations and laws, to provide assistance to local animal control and protection organizations, to assist state agencies and local animal control and protection organizations in disaster planning and post-disaster operations, and to promote justice and equity in the enforcement of animal control and protection laws. To promote the safety and well-being of all animals who are or may be adversely affected during a disaster. To respond to the needs of those who provide emergency and supportive care to animals during all phases of a disaster. To promote the inclusion of the animal component in all federal, state, and local government disaster plans, and those developed by the general public, by engaging in an ongoing process of proactive education and mutual awareness of the needs of animals in disasters. To encourage cooperation with other animal protection organizations, veterinary associations, disaster relief agencies, and government officials. The Florida Cattlemen's Association is devoted entirely and exclusively to promoting and protecting the ability of cattlemen members to produce and market their products. The Florida Association of Kennel Clubs, Inc. (FAKC) is a 501(c)(3) non-profit organization dedicated to the protection of animals, especially pure bred dogs. It is a "Club of Clubs", with its members being dog clubs throughout the State of Florida which are affiliated with the American Kennel Club (AKC). The FAKC has no individual members. 25078 Dan Brown Hill Rd. The mission of Wildlife Services (WS) is to provide Federal leadership in managing problems caused by wildlife. WS recognizes that wildlife is an important public resource greatly valued by the American people. By its very nature, however, wildlife is a highly dynamic and mobile resource that can damage agricultural and industrial resources, pose risks to human health and safety, and affect other natural resources. The WS program carries out the Federal responsibility for helping to solve problems that occur when human activity and wildlife are in conflict with one another. The ASPCA's mission, as stated by Henry Bergh in 1866, is "to provide effective means for the prevention of cruelty to animals throughout the United States." (Founded in 1866, the ASPCA (The American Society for the Prevention of Cruelty to Animals) is the first humane organization established in the Americas and serves as the nation's leading voice for animal welfare. One million supporters strong, the ASPCA's mission is to provide effective means for the prevention of cruelty to animals throughout the United States. As a 501 [c]  not-for-profit corporation, the ASPCA is a national leader in the areas of anti-cruelty, community outreach and animal health services. The ASPCA, which is headquartered in New York City, offers a wide range of programs, including a mobile clinic outreach initiative, its own humane law enforcement team, and a groundbreaking veterinary forensics team and mobile animal CSI unit. For more information, please visit http://www.aspca.org. The Florida Fruit & Vegetable Association is a non-profit agricultural trade organization whose mission is to enhance the business and competitive environment for producing and marketing fruits, vegetables and other crops. 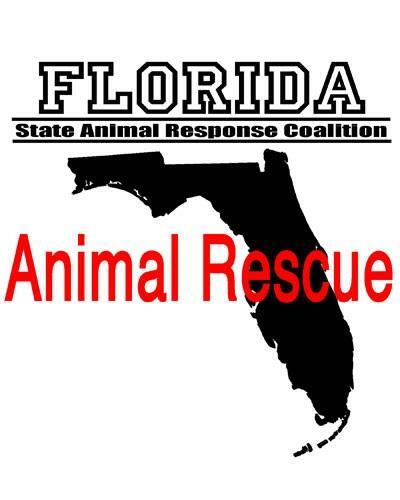 FLSARC is a coalition of individuals, groups and businesses local and/or national in scope with the desire to plan, train, practice and respond to animal emergencies in Florida. 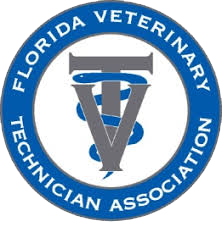 FLSARC provides leadership, training guidance and direction to those individuals, groups and businesses wishing to respond to animal events in Florida.